I'm quite the creature of habit when it comes to handbags as I like sticking to neutral shades. You will almost always see me with a grey, black or brown bag slung across my shoulder. About a year ago, I shared a What's In My Bag video featuring my beloved Matt and Nat Tote Bag which I am still obsessed with. 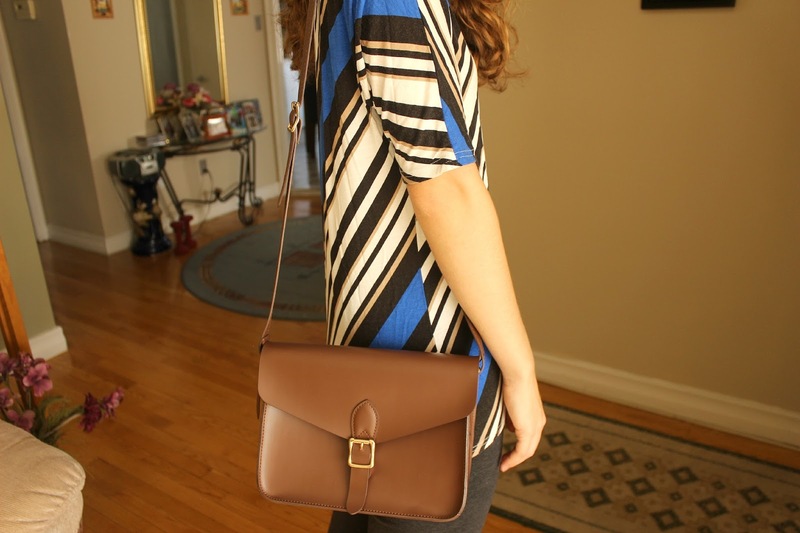 My weakness for these types of bags has not gone unnoticed, and my really good friend surprised me for my birthday this past summer with the Angela Roi Palette Light Brown Cross-Body Bag. 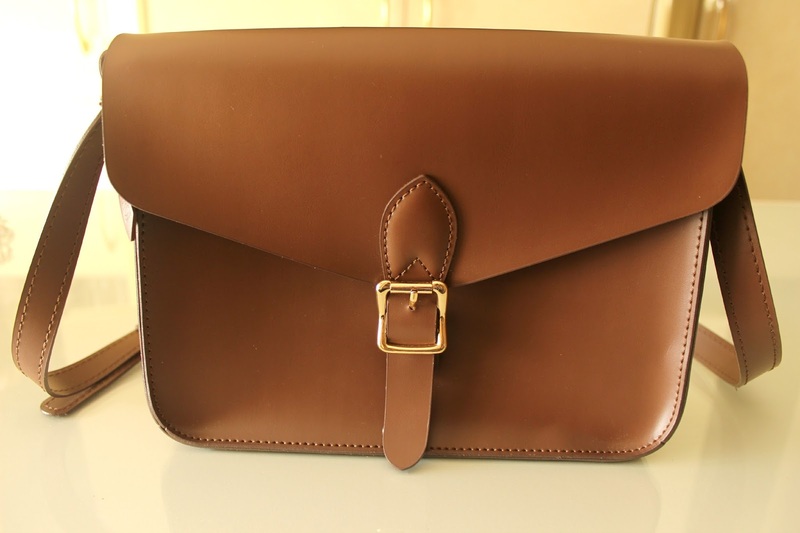 I had never heard of this brand before, but she went the extra mile to find an everyday vegan leather bag - how sweet is she? As soon as I unwrapped it, it was love at first sight! Founded by Angela and Roi Lee, this online boutique carries classic and modern designer handbags all made from high quality synthetic materials, giving them that luxurious feel. What makes this brand so unique is that 5% of each sale is donated to charity - the bag colour you choose determines the cause you will support through your purchase. 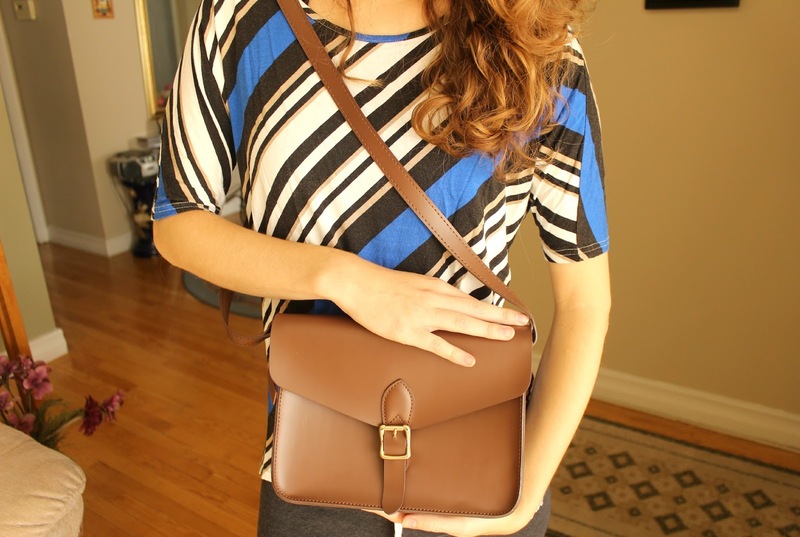 For instance, this Palette Cross Body Bag in Light Brown supports cancer fighters with a portion of sales going to the Prevent Cancer Foundation. It comes with a brown signature ribbon attached to one side as a symbol of your support for the cause. Examples of other colours you will find are green to stand up for Anxiety and Depression sufferers, purple for those who have been diagnosed with Alzheimer's Disease and red for those living with AIDS/HIV. You can find more information on what each colour supports as well as their associated charities here. 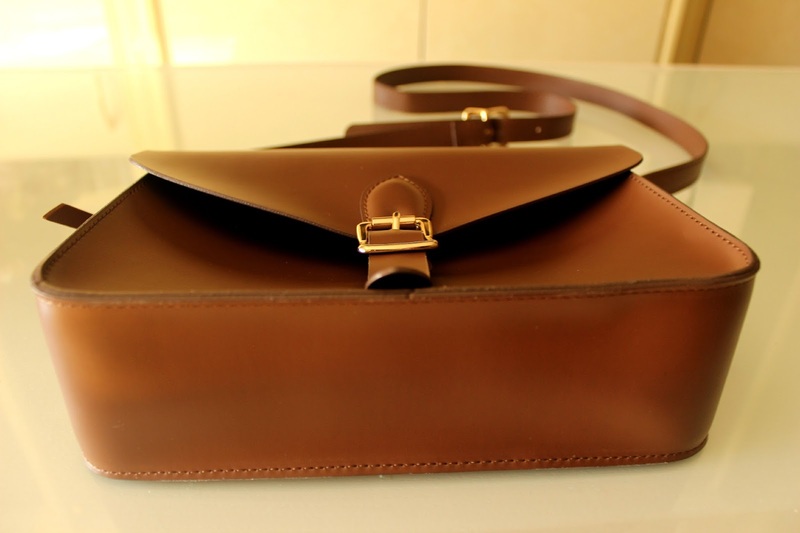 Angela Roi is based in the USA, with bags being individually handcrafted by skilled artisans in Korea and Vietnam. You can right away tell that these are great quality handbags. The polyvinyl material is very sturdy and resistant to everyday wear and fully waterproof. 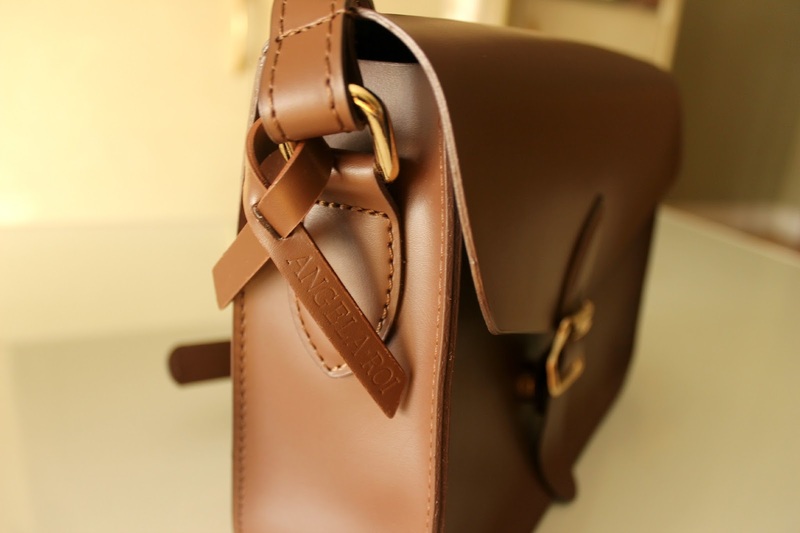 The bag is very simple and clean cut, which add to its beauty. 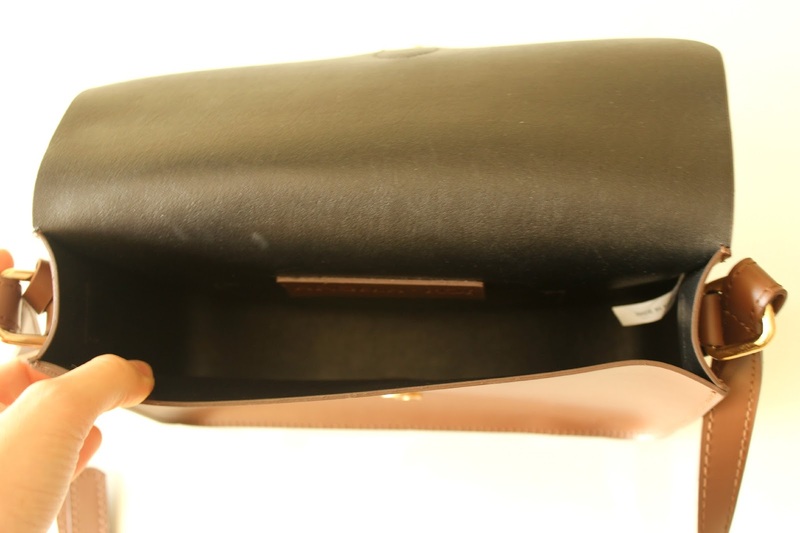 The inside is made out of black vegan leather and is quite spacious as it does not have any inside pockets. The Palette bag has a magnetic closure, while the back features an easy access slit pocket perfect to fit cards and other flat items. The size of this cross-body bag makes it perfect for running around town as it is very light and comfortable to wear - no strap digging into the shoulder with this one! As you can probably tell, I am a big fan of this bag and brand after being introduced to it! I am already eyeing a few bags in their various collections. Their prices are comparable to Matt and Nat's, not cheap but not overpriced either. I personally like to invest in a good quality vegan bags because it I know they will last me a very long time. Curious to know what I carry in this lovely bag? Click below to watch! 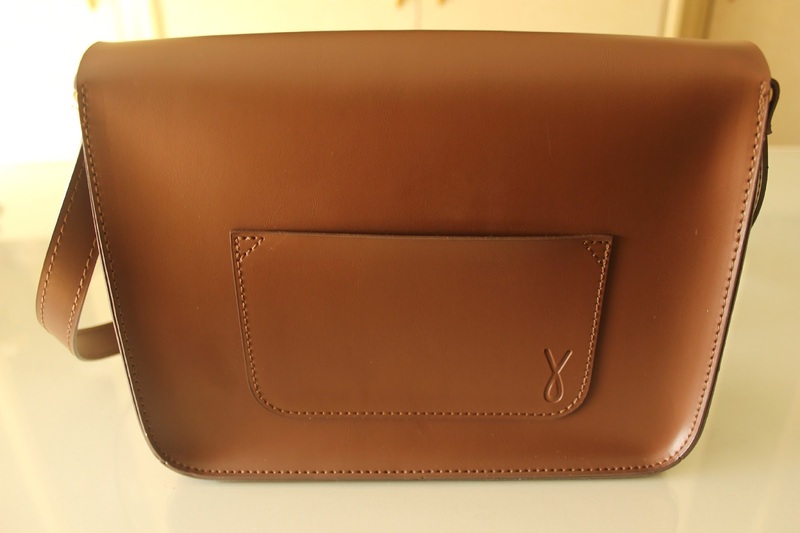 Have you looked into getting a vegan leather bag? Do let me know if you know of any other brands that make eco-friendly bags! That is a really nice bag! 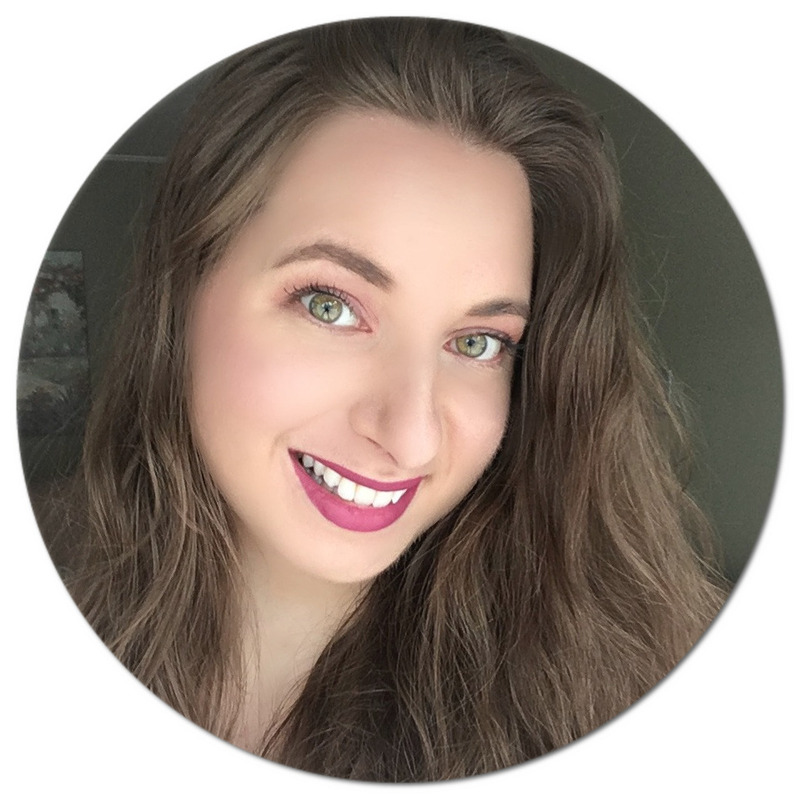 I am on the lookout for a nice looking purse with a spot for my DSLR but I can't find anything I really like... any suggestions?